The teyanain are a mysterious, insular tribe who control the major access point between the northern kingdom and the southern desert Families. Outsiders know little to nothing about the teyanain; the less one knows, the better, is common wisdom. The further one gets pulled into politics, however, the more likely one is to face the teyanain. For all their reclusiveness, they meddle in politics constantly. This short story offers a rare glimpse into the world behind the curtain as Cuna, an ambitious young woman, breaks with permitted gender roles and risks her life to become nitta-hei: an elite assassin-spy. 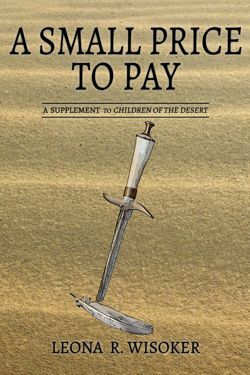 Her choices, and the escalating price tag, have long-ranging consequences that echo into the final book of the Children of the Desert series. 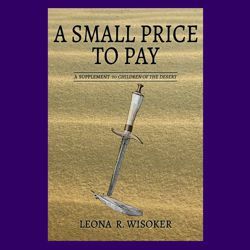 Like the previous release, Fallen City, and the subsequent release, Salt City, this story fills in background detail intended to enrich the reader’s enjoyment of the overall series. Cover art by Mike McPhail of eSpec Books.